Arles Gris is an attractive feature wall tile that is the ideal choice for modern bathrooms. 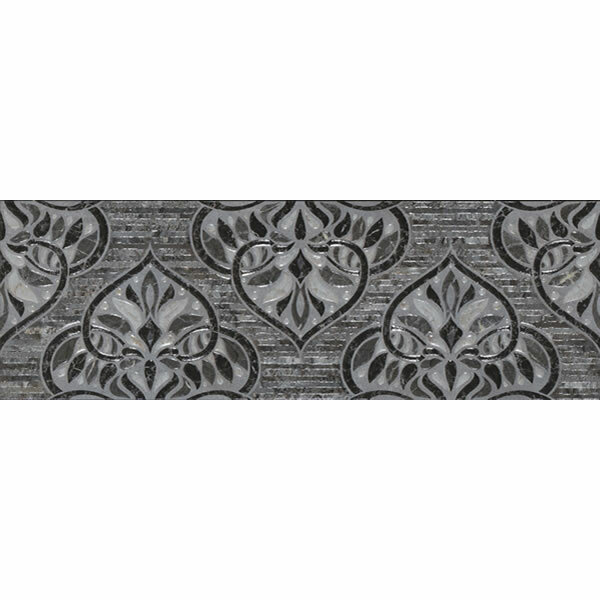 It boasts a decorative patterned design in shades of grey, black, and silver. 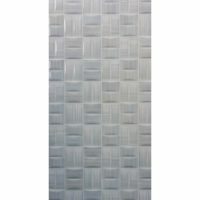 Arles Gris feature wall tile measures 200×600 mm in dimensions and are sold per piece. It is suitable for use as a wall tile in indoor areas. 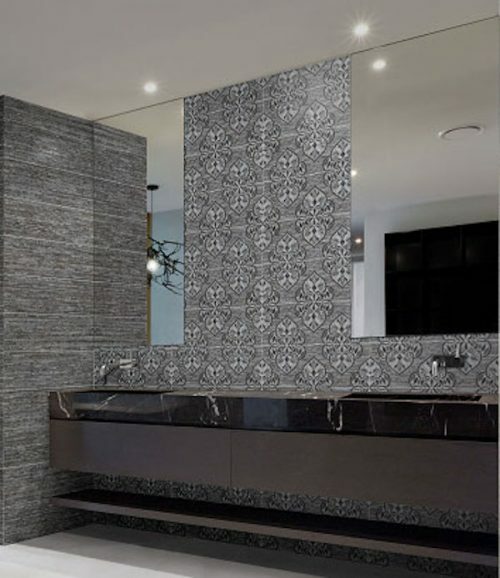 Make a statement in your bathroom with this feature wall tile. Due to special manufacturing, Arles Gris can be used in wet areas such as shower walls, in addition to dry areas. While you can create a seamless look with this feature tile, its gorgeous design will also perfectly complement contemporary design schemes. Arles Gris offers the perfect blend of style and quality. It exhibits high-grade artistry and is manufactured to the utmost standards of quality. 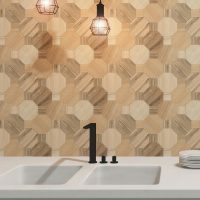 Trust that this feature wall tile is built to last and that it offers great value for money. 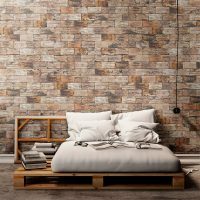 For an attractive looking feature wall tile in Perth, look no further than Arles Gris, available at Ross’s Discount Home Centre. Shop from our online store to purchase this feature wall tile at the lowest possible price today!